Olaf, who burst onto the scene in a magical moment in “Frozen,” counts warm hugs among his passions. Olaf is known for his innocent view of the world, comic personality and his ability to disassemble himself at good—and not-so-good—times. His catchy debut single will be sure to heat up the coldest of winter days. 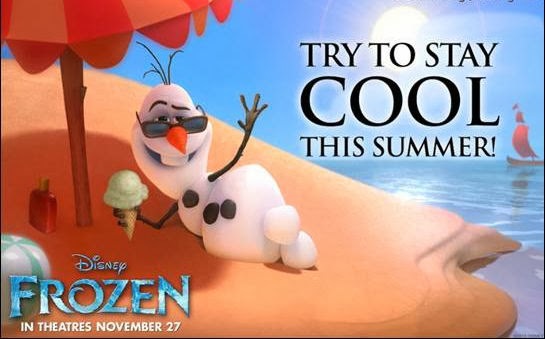 I kind of like the song, but someone better tell the snowman that heat would do him no good! Release date: November 27, 2013.